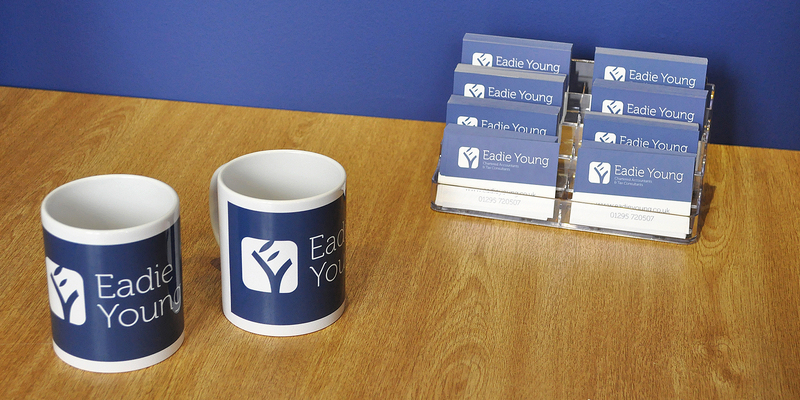 To create a logo/corporate identity for an established, but expanding local Chartered Accountant practice. Working with Eadie Young we defined a direction and style for the logo which then could be applied to various materials, creating a modern Accountant brand. We created several versions of the logo, with subtle changes along with colour options. This was then refined and a finalised logo was then applied to signage, stationery and marketing materials. We approached Toast to help us create a strong, identifiable brand, that would last for years to come as we continue to grow. With fast response times and exceptional value for money, we have no doubt in recommending Toast. A set of business stationery was created which included letterheads, comp slips and business cards. The logo was then applied to promotional items such as mugs and exterior signage. Need some help creating your brand?